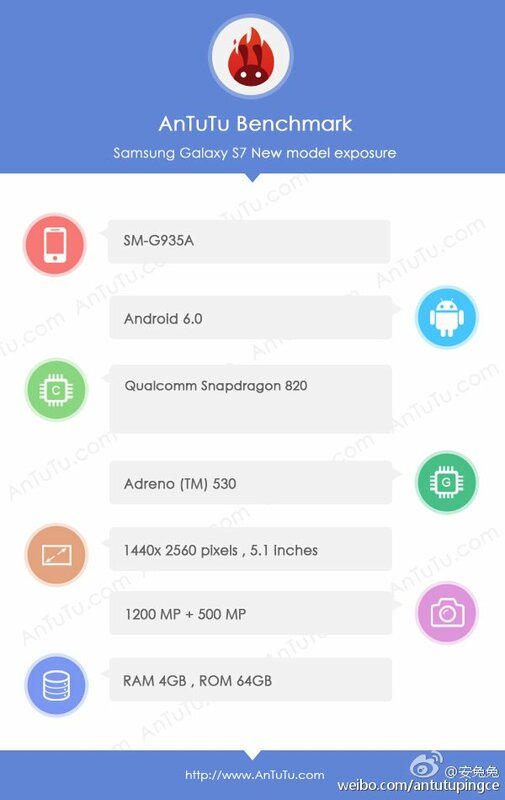 As we push steadily into 2016, the info on upcoming flagship devices from Samsung is beginning to heat up, and if the latest info from AnTuTu is to be believed, then we may have a few specs for the upcoming Galaxy S7 Edge. According to the spec benchmark, the device could feature a 5.1″ QHD display (which differs from a previous report that stated a size of 5.5″), Snapdragon 820 processor, along with other reported features such as water resistance and an SD card slot. In addition to possible display size and processor to be used, the AnTuTu info claims that the device will feature 4GB of RAM, along with a 12MP rear-facing camera. But wait, only 12MP, you ask? 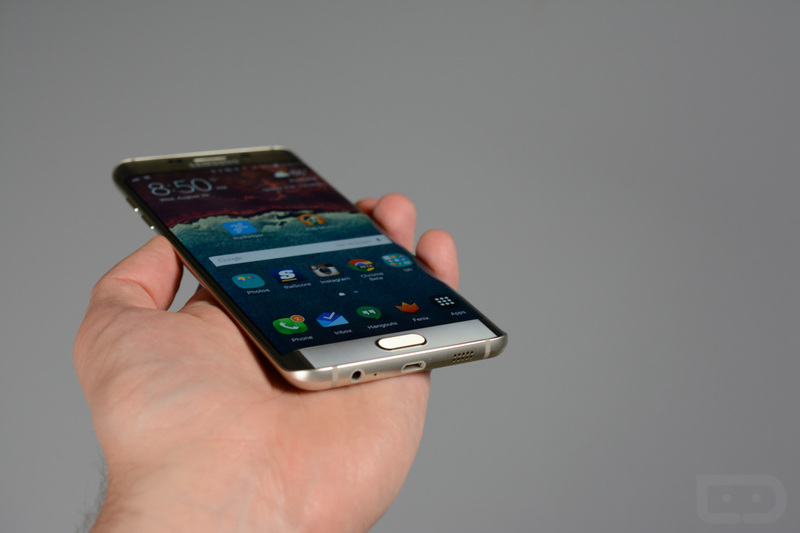 The Galaxy S6 and S6 Edge featured a 16MP shooter, so the drop in megapixels may be a downer to some, however, a drop in megapixels may not mean an exact drop in picture quality, just overall resolution. It was previously reported that the Galaxy S7 and S7 Edge would have a camera with an aperture of f/1.7, so folks should not be alarmed yet. The last little bit of info concerns the OS, but it’s no shocker – the latest devices from Samsung will all run Marshmallow. No surprise there. What is your take on a possible megapixel downgrade? As long as the quality of images produced is not hindered, are you okay with that move by Samsung?